Join us in Serenbe for the Biophilic Leadership Summit – the annual gathering of nature-centered change-makers, urbanists, architects and environmental trailblazers. Experience wellbeing, farm-to-table food, interactive workshops, nature hikes, and educational keynotes and discussions in the pastoral setting of Serenbe. From our pre-conference welcome to our closing educational tour, the Summit provides endless opportunities to network with fellow attendees, share new ideas and make an impact on the natural world. Atlanta is leading the way with biophilic design, the Living Building Challenge and the Kendeda Building for Innovative Sustainable Design. Join us for an enjoyable and informative conversation about how new insights into health and wellness are changing the way we will be designing our buildings and our cities in the years ahead. Speakers - Sonja Bochart: leading expert on biophilic design, consulting on the Kendeda Building project + Joshua Gassman: design lead on the project. Email contact@biophilicsummit.com to reserve your spot on the bus from Serenbe to Georgia Tech. Seats are limited. 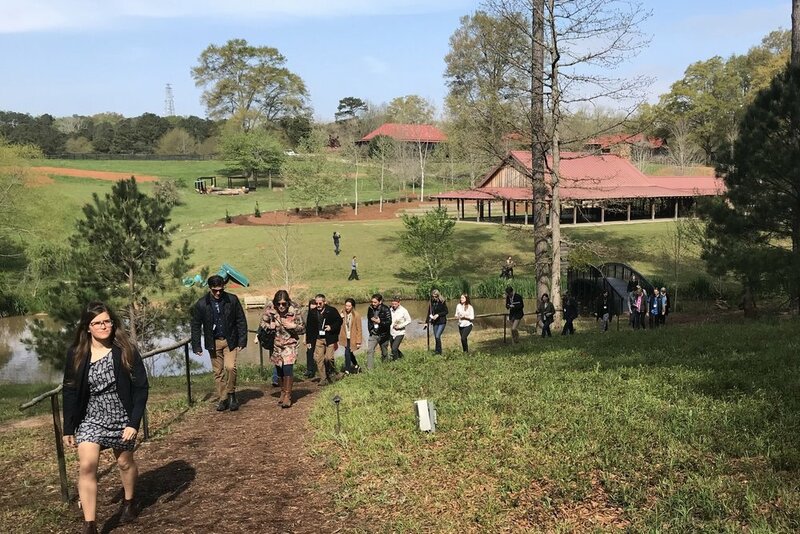 The Biophilic Institute, Biophilic Cities and Serenbe convene national sustainability leaders and biophilic professionals each year to form new partnerships and discuss future directions of biophilic models, urbanism and design. Register for one day or two. Be sure to register for the Welcome Presentation on Sunday, April 7 with Sonja Bochart and Joshua Gassman. The Inn at Serenbe is currently SOLD OUT. Please see below for more accommodation options. More nearby stays: Fox Hall, (8 miles away), Country Inn & Suites (11 miles away), Wingate by Wyndham (12 miles), or the Hampton Inn (11 miles) in Fairburn, or the SpringHill Suites (16 miles) or Hampton Inn (16 miles) in Newnan. Find out how your brand can become a part of the 2019 Biophilic Leadership Summit! Every spring, policy-makers, environmental professionals and sustainability enthusiasts travel from around the world to attend the annual Biophilic Leadership Summit, a unique conference exploding with energy, education, networking, and a dose of vitamin N.
Brand integrations include sponsoring a keynote speaker, engaging in panels, digital + onsite signage and product distribution. Contact us to find out how you can be a part of the Summit this year! Be the first to receive news and updates about the Biophilic Leadership Summit.